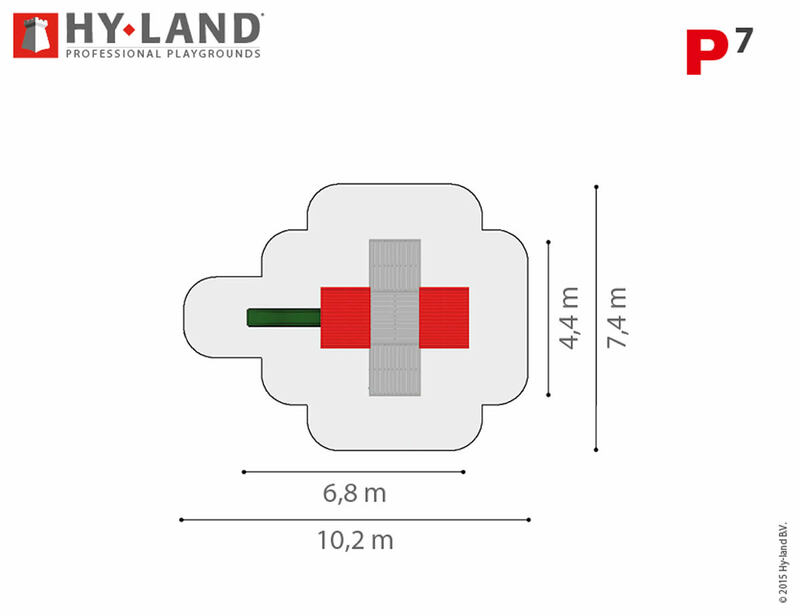 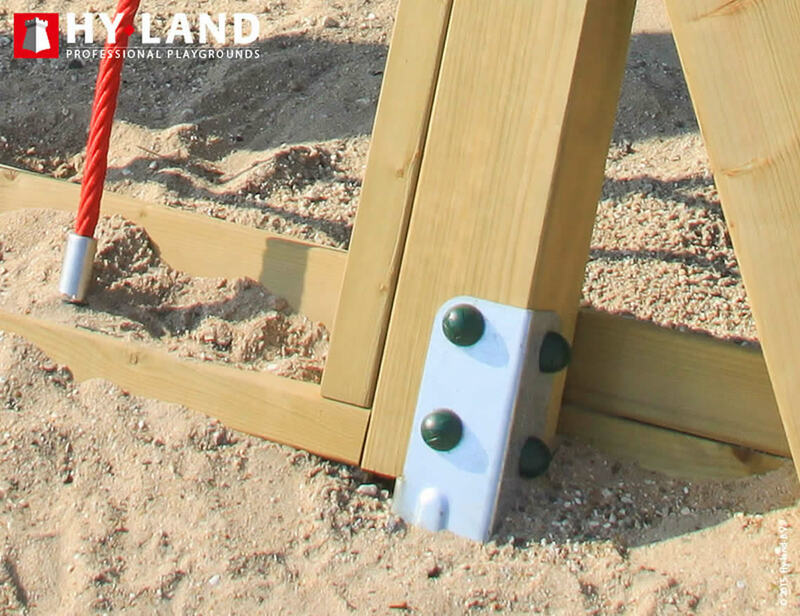 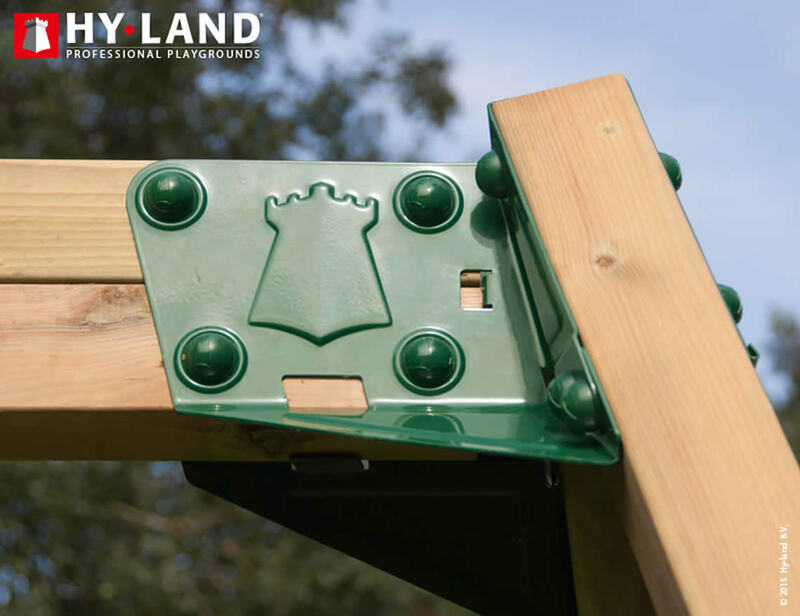 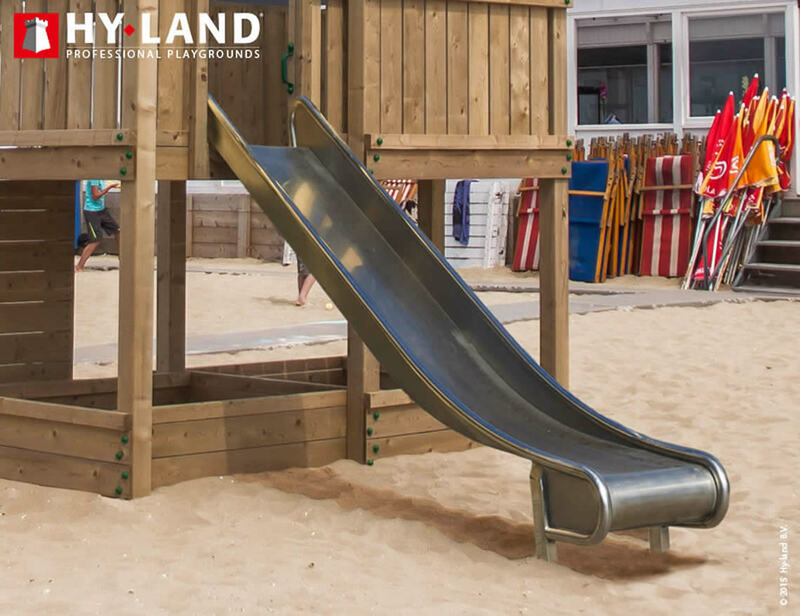 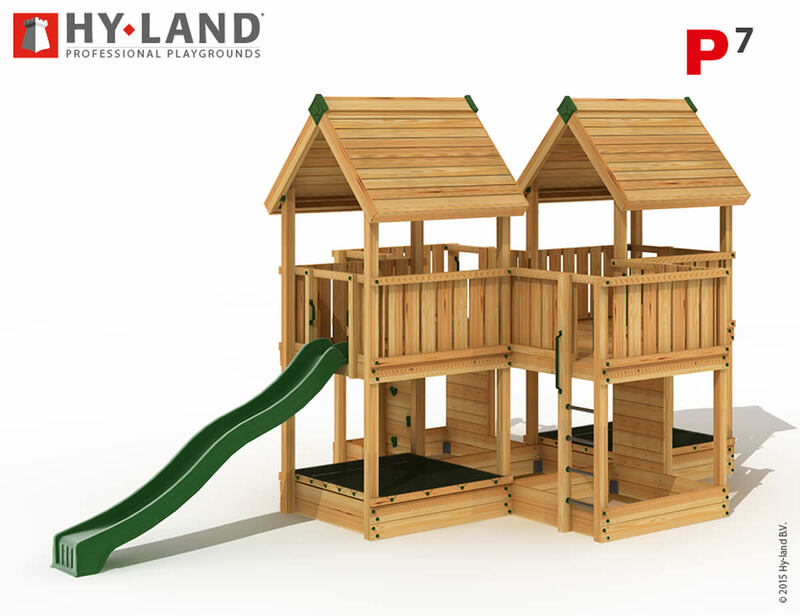 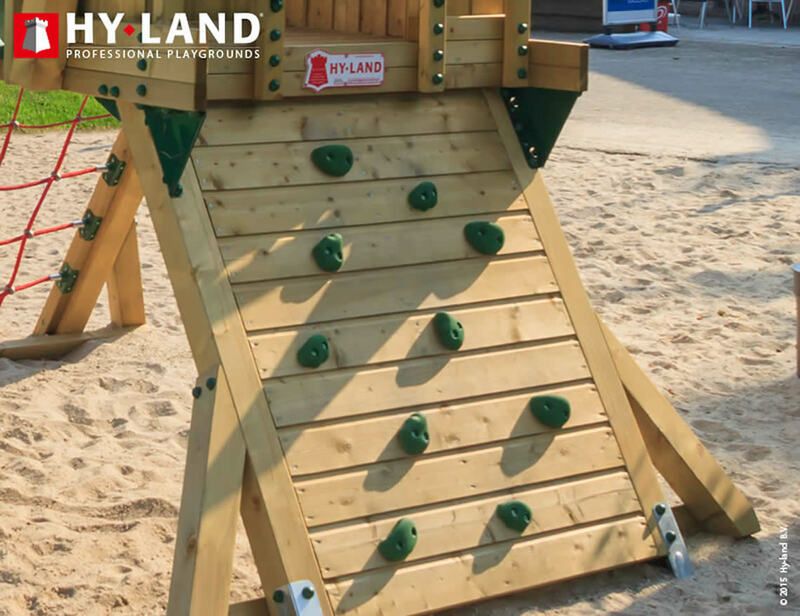 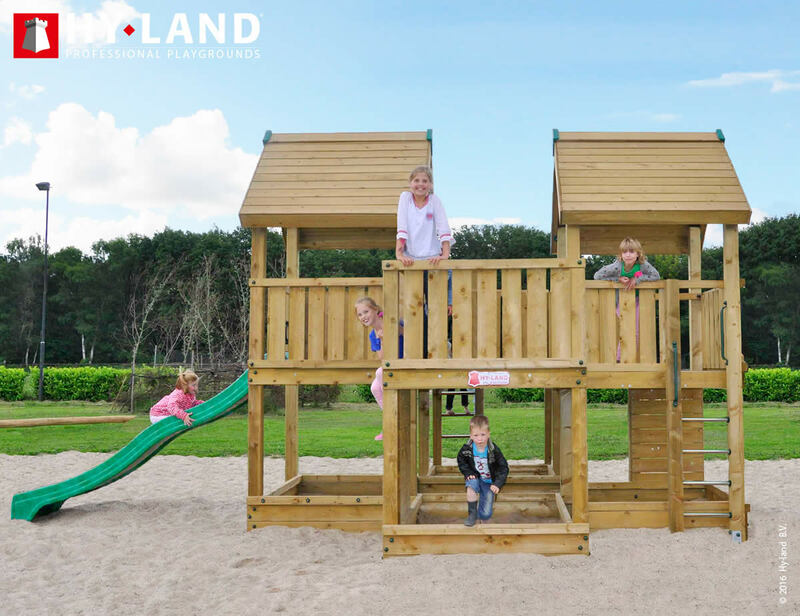 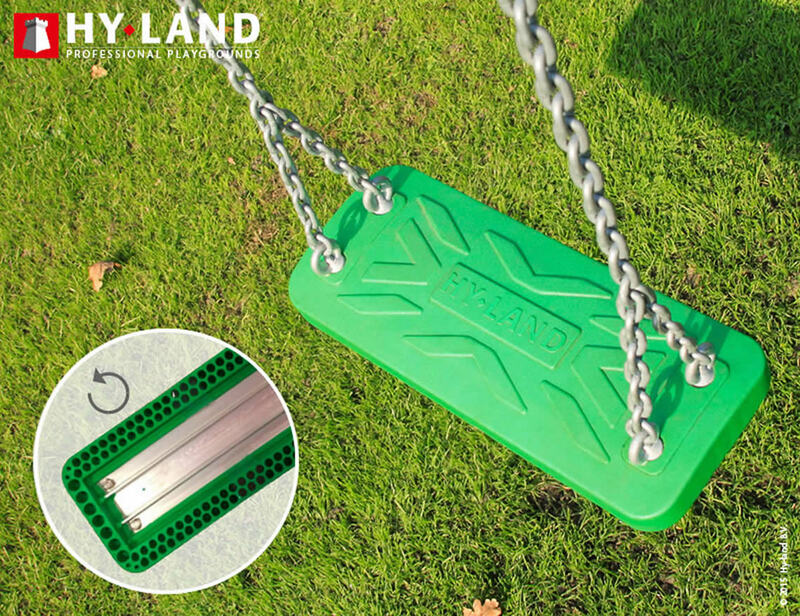 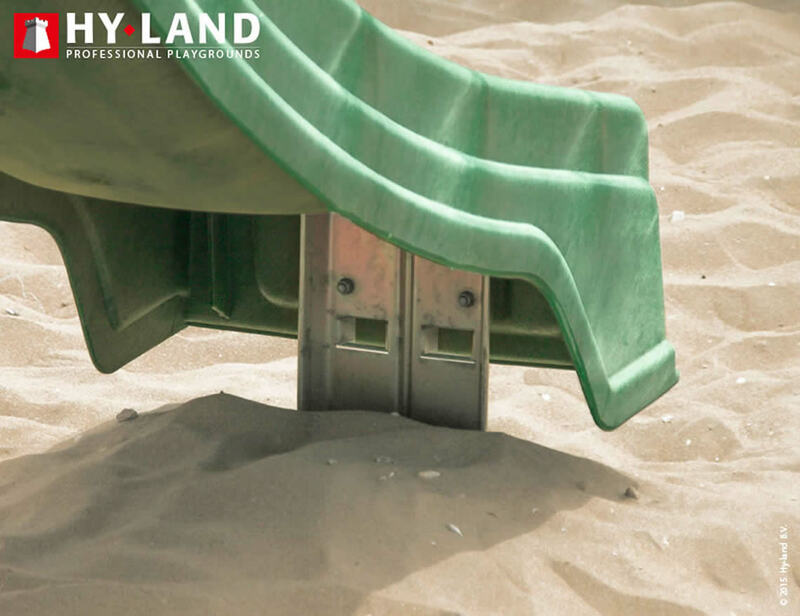 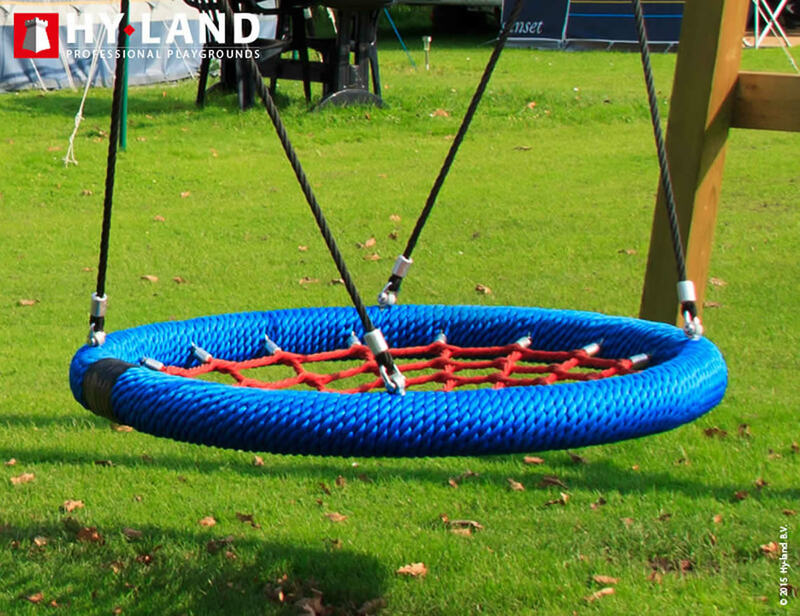 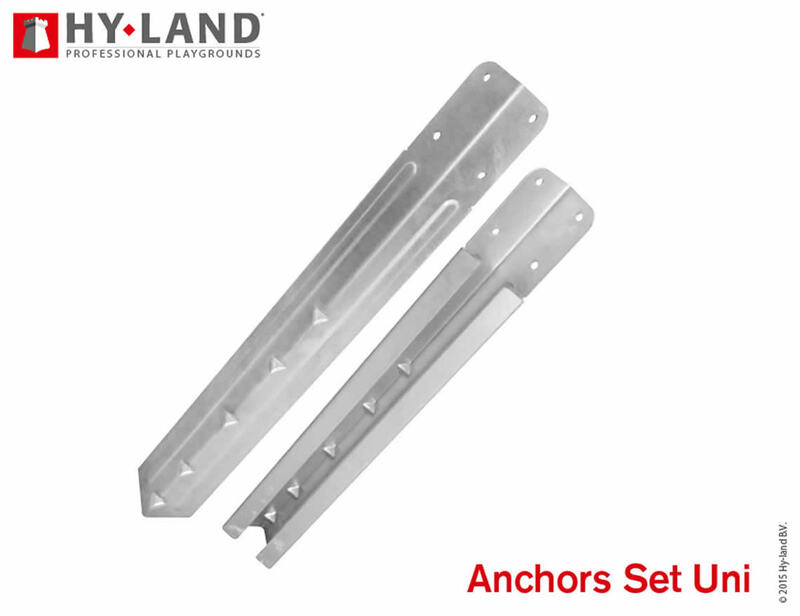 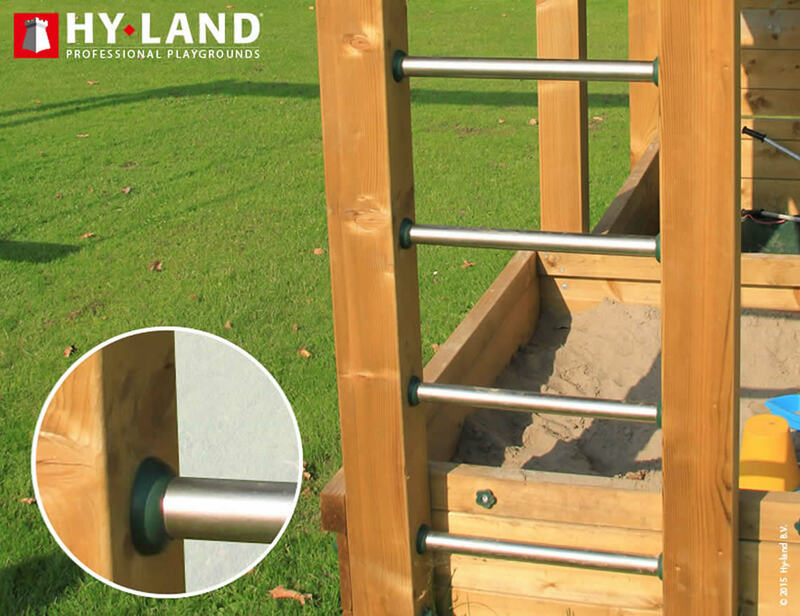 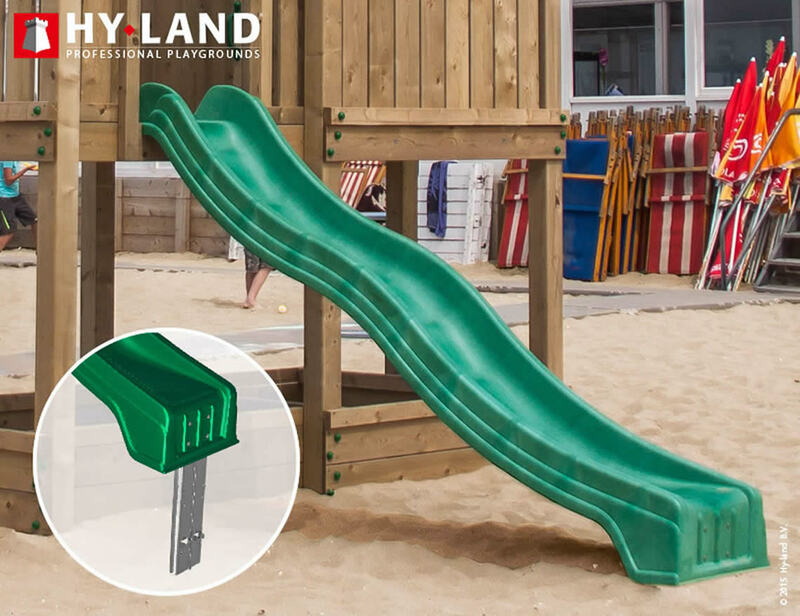 All play equipment must be installed over an impact attenuating surface according to the standard EN 1176-1: 2008, properly prepared for use in children�s playgrounds. 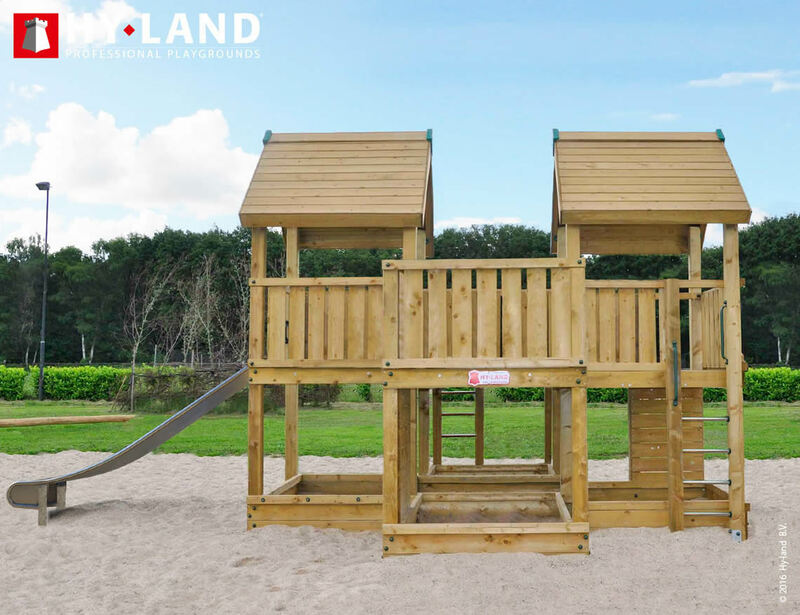 The following is a list of commonly used impact attenuation material: double shredded bark mulch, uniform wood chips, fine gravel, fine sand, rubber tiles, poured in place impact attenuating surfacing. 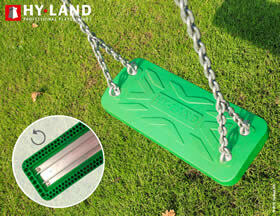 For placement on grass, check local regulations. 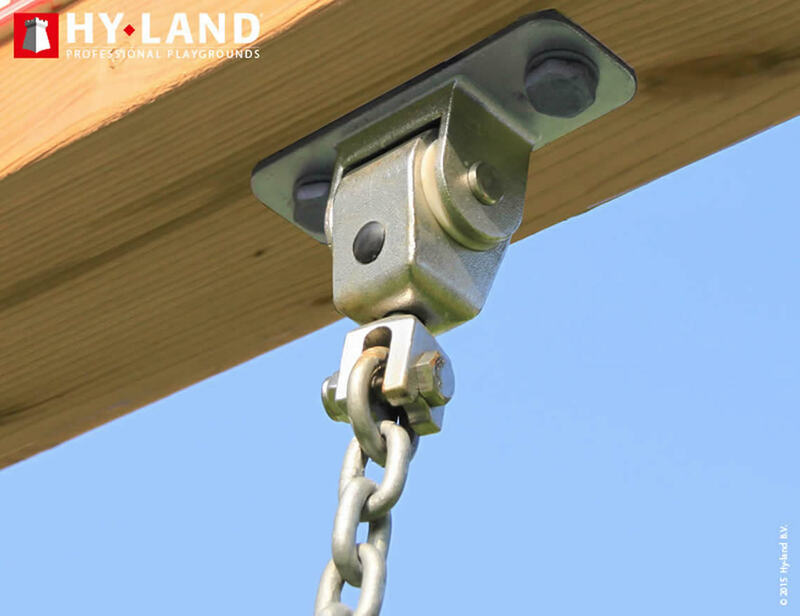 All Hy-land Projects are type-approved and certified by an independent test organization, T�V Rheinland. 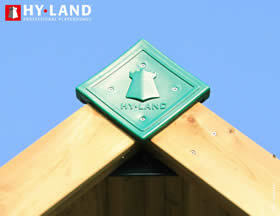 When Hy-land Projects are built according to the instructions, then each Project complies with EN 1176 : 2008. 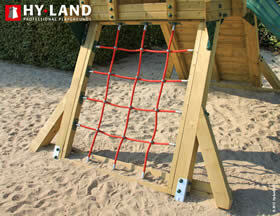 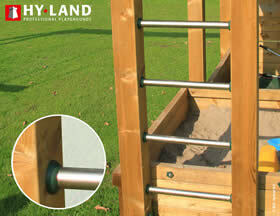 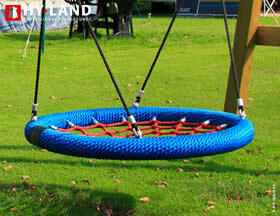 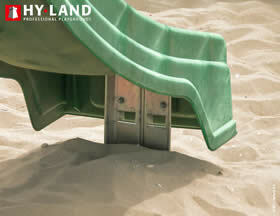 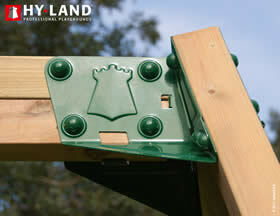 This is the European standard for playground equipment for public / commercial use. 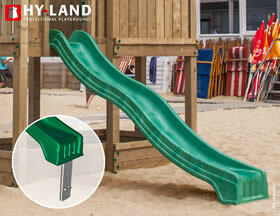 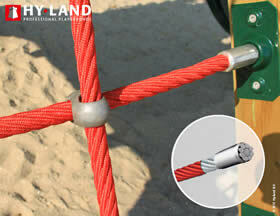 For example for restaurants, hotels, stores, day care centres, sport clubs, camp sites and controlled community areas. 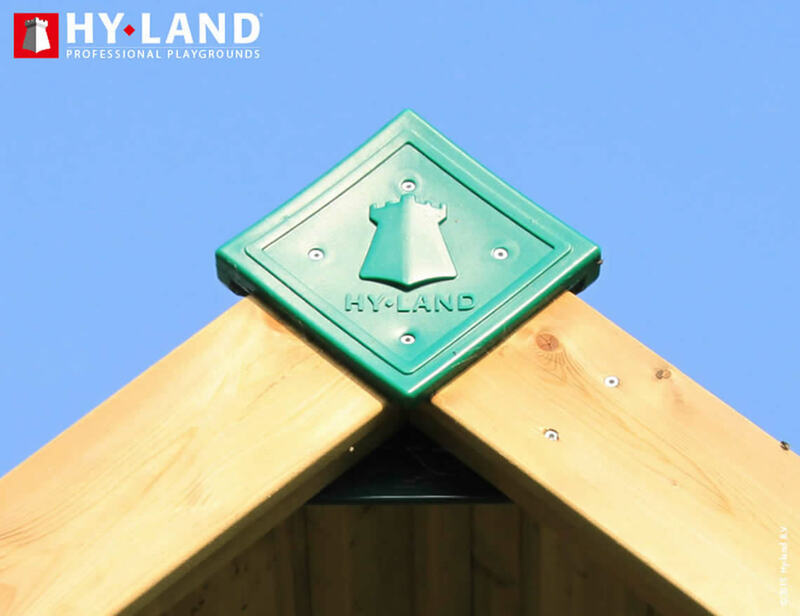 Hy-land projects do not need additional inspections from a test organization, not after assembly and not throughout the year. 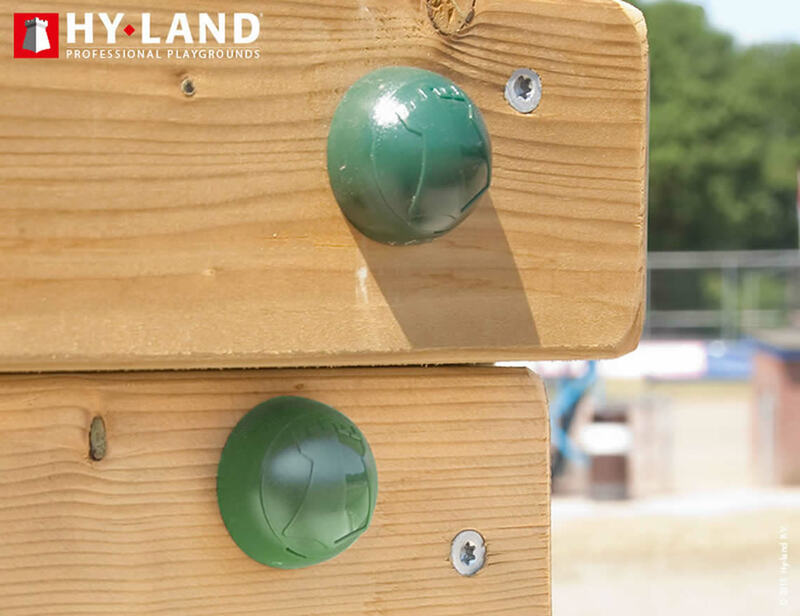 All Hy-land projects come with a checklist and logbook. 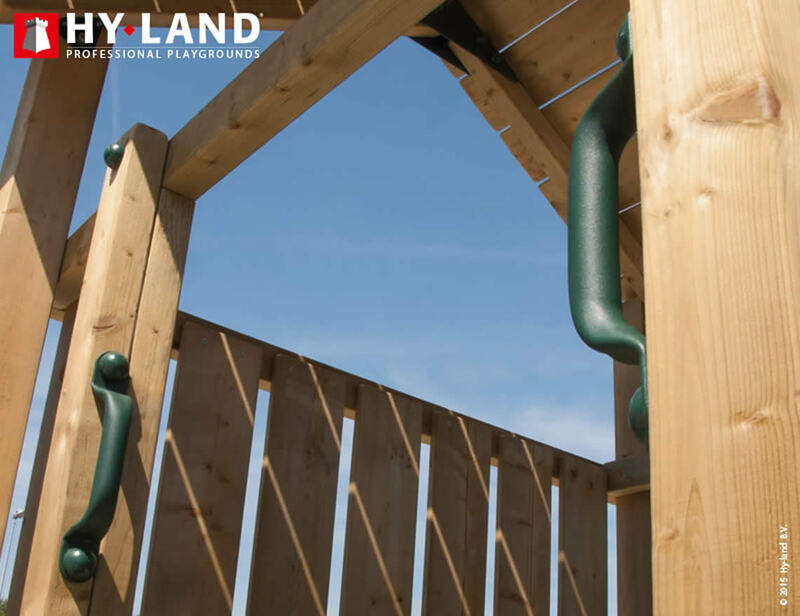 You can legitimately carry out the inspections yourself, that are mandatory for public / commercial playgrounds. 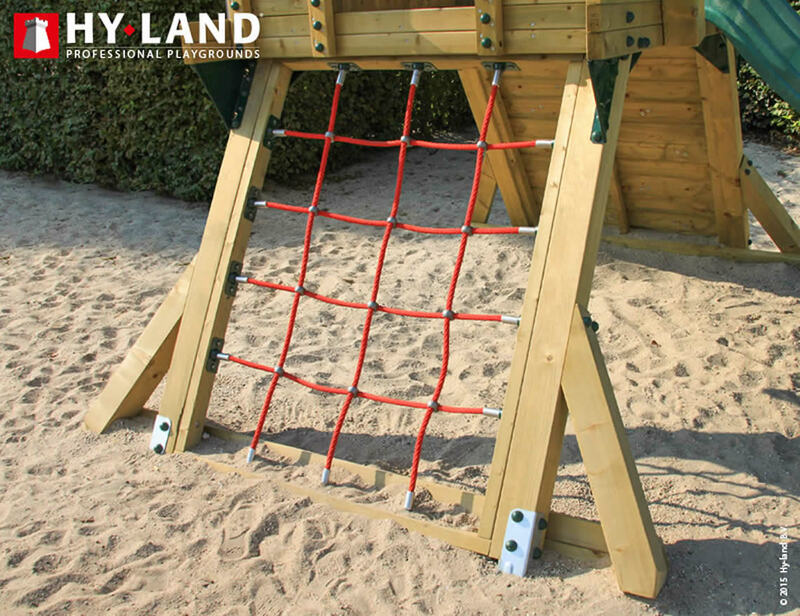 Robust dimensions of pressure-treated pine - stainless steel ladder rungs - powder coated steel handgrips, roof brackets and swing brackets - triple-coated non-corrosive screws and bolts - reinforced PVC sandbox covers - polyamide bolt covers - galvanized steel swing chains - stainless steel swing hooks with nylon bearing - shock absorbing light weight EPDM polymer swing seats. All materials apply to the strictest European health and safety requirements, are weatherproof and UV-resistant.